Lisa Tener’s clients have appeared on Oprah, The Today Show, CBS Early Show, Good Morning America, Fresh Air, CNN, Fox News, in the New York Times and much more. Lisa’s many awards include The Gold Stevie Award for “Company of the Year – Media and Entertainment – Small Businesses in 2016 (International Business Awards), The Providence Business News Women Acheivement Award, and both The Gold Award for Marketer of the Year in Media and The Silver Stevie Award for Best New Service of the Year-Media (for her Bring Your Book to Life Program), both from the American Business Awards 2012. Lisa has been quoted in the New York Times, Boston Globe, Glamour, WebMD and more, and her book has been positively reviewed in the Chicago Tribune and more. She’s appeared on ABC World News, PBS TV, Chronicle, local news and more. Lisa serves on the faculty of the Harvard Medical School continuing education course on writing and publishing books. 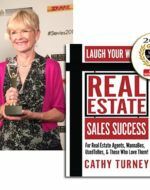 She blogs on books and publishing for the Huffington Post, Thrive Global, The Business Journals and more. 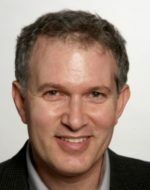 Dr. Craig Malkin, one of several clients who blog for Psychology Today & Huffington Post. Dr. Ellen Weber Libby appeared on the CBS Early Show when The Favorite Child, came out. 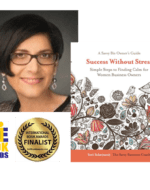 Her clients include doctors, therapists, consultants, company presidents and managers, success and life coaches, people with unusual true stories, university professors, holistic practitioners, healing professionals, moms and others. They blog nationally for The Huffington Post, Psychology Today, WebMD, Forbes and other national venues. 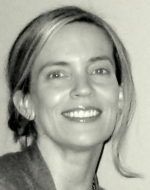 As a book writing coach, Lisa Tener assists writers in all aspects of the writing process—from writing a book proposal and getting published to finding one’s creative voice, prioritizing projects, developing an author platform, setting clear goals and developing a system for creative success. She teaches 8 week classes on book writing and workshops on Writing in the Zone, her 5 step system for inspiration and success for writers, a sure fire way to eliminate writer’s block. Lisa is a sought after speaker and regularly presents at the Harvard Medical School CME publishing course, national writers conferences (including San Francisco Writers Conference and Ocean State Writers Conference, library conferences and many conferences and events for entrepreneurs and women, including the Bryant University Women’s Summit. She speaks at international professional conferences, including the Association of Image Consultants International (AICI) Annual Conference. 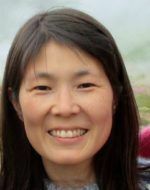 She served as both a panelist and presenter for the International Women’s Writing Guild’s Meet the Authors Conference, the Association of Rhode Island Authors and the Festival of Rhode Island Authors. In addition to winning 5 Stevie Awards, including Best New Service of the Year – Media and International Business Award, Lisa has been awarded Start Up Nation’s Home Based 100 and The Providence Business News Business Women Achievement Award and Positive Writer’s Top 50 Writing Blogs 2018. Lisa is co-author with Peaco Todd and Jane Middelton-Moz of The Ultimate Guide to Transforming Anger: Dynamic Tools for Healthy Relationships (Health Communications). She originated the concept of Anger-obics, and developed the majority of the Anger-obics exercises in the book. She has taught writing and creativity workshops throughout New England and in the Caribbean since 1994. She also taught Anger-obics workshops with co-author Peaco Todd at conference centers, corporations and hospitals including New Balance Athletic Shoes, the Dana Farber Cancer Institute. As an undergraduate, Lisa Tener studied writing with the late Frank Conroy, during his tenure as Director of the Literature Program at the National Endowment for the Arts (before he became Director of the Iowa Writer’s Workshop), Broadway Playwright A.R. Gurney, Jr., and award-winning poets Jean Valentine and Gjertrud Schnackenberg. She earned her Master’s degree from MIT’s Sloan School of Management where she concentrated in marketing. She earned her Bachelor’s degree from MIT, where she minored in writing. Anger-obics was inspired by her studies in alternative and complementary healing modalities. 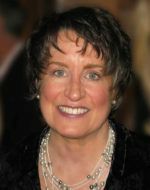 Prior to becoming an author, trainer and coach, she served as Executive Director of Hospitality Homes in Boston, an organization that provides housing for the families of patients who visit Boston for medical treatment. The housing is in the homes of volunteer hosts. During her tenure, the organization increased services by more than 300% and increased income by over 400%. Lisa Tener is an enthusiastic advocate for the power of the written word to transform careers, businesses and people. Signed contract with Jessica Kingsley Publishers!